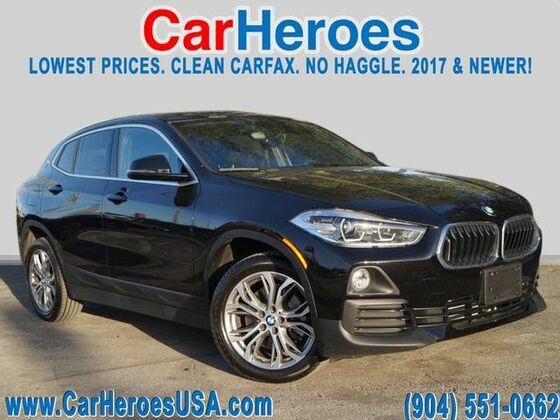 CarHeroes has a wide selection of exceptional pre-owned vehicles to choose from, including this 2018 BMW X2. This BMW includes: HEATED FRONT SEATS Heated Steering Wheel Heated Front Seat(s) JET BLACK PANORAMIC MOONROOF Generic Sun/Moonroof Sun/Moonroof Dual Moonroof *Note - For third party subscriptions or services, please contact the dealer for more information. * When you purchase a vehicle with the CARFAX Buyback Guarantee, you're getting what you paid for. The X2 xDrive28i doesn't disappoint, and comes with all the quality and understated opulence buyers have come to expect from the respected BMW marque. A truly versatile SUV, this vehicle will please even the most discerning of buyers. Once you see this BMW, you'll quickly see that this is the perfect vehicle for the outdoor junky! You'll even feel relaxed knowing that this All-Wheel drive vehicle will get you to where you are going no matter what may come your way. Also, with this BMW X2's dependable control you'll be able to drive into the sunset without a care in the world!